Knowing your customers is a basic need for any form of marketing, but it is critically important when using social media for a couple of reasons. One, you need to know what “voice” you’re going to use. It might be fun and spunky or clever, yet professional – it all depends on your target market and what resonates with them. Two, when placing ads on social media, you need to know the following: where they live, what their interests are, whether they are male or female, what language they speak, what is their marital status and so much more. Three, determine what keywords will be effective. Using specific keywords on posts that are relatable to your customers is important because the more your customers search the keywords you’re using, the higher the likelihood your website or social media page will pop-up in their search results. 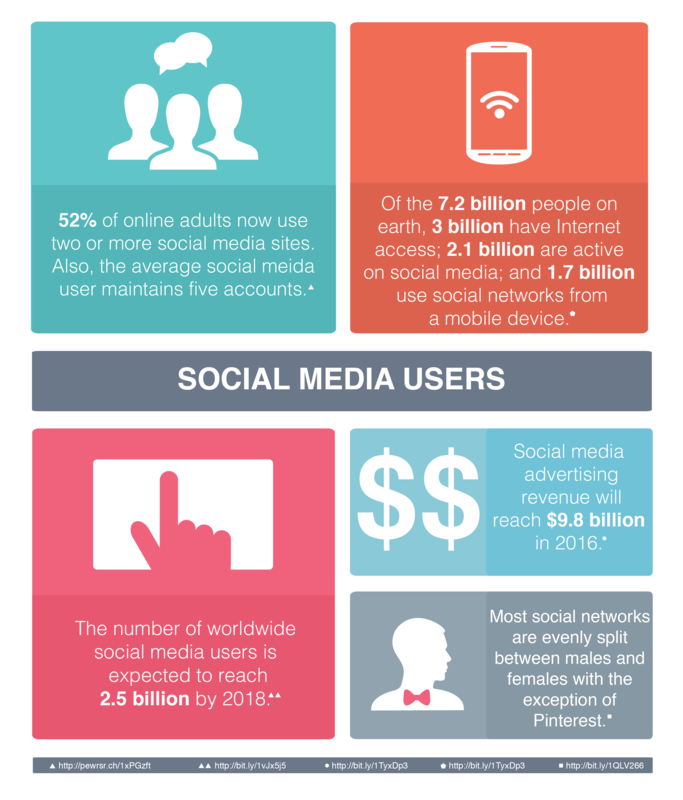 The chart (shown below) features some fun facts about social media. Get ready to be amazed! Have any comments? Drop ‘em below.